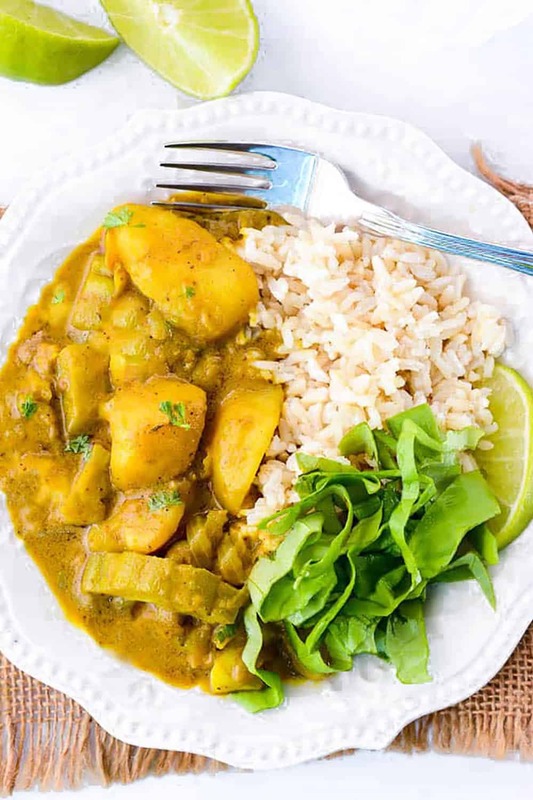 This delicious Bitter Melon Potato Curry dish is easy to prepare. 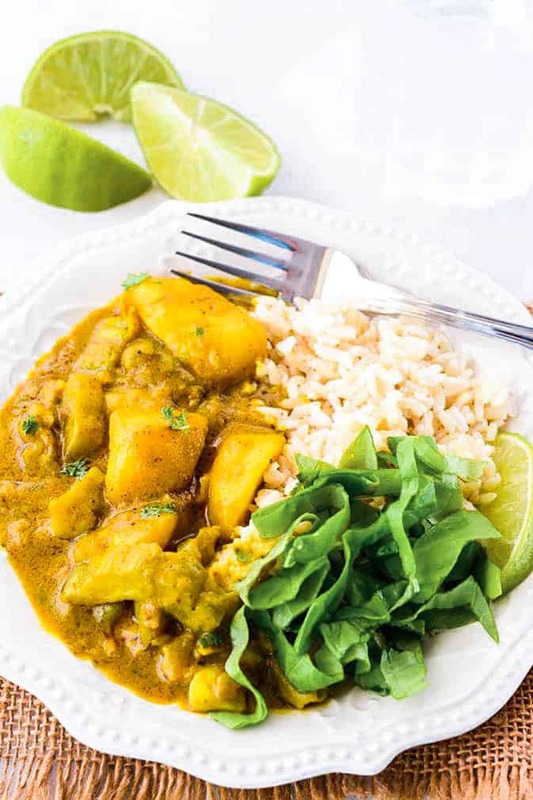 Bitter melon and potato cooked with aromatic spices and coconut milk for a flavorful dish, the perfect way to enjoy the health benefits of bitter melon! Bitter Melon (aka Cerassee, karela, African Cucumber, Bitter Apple, Bitter Cucumber, Bitter Gourd) is a vine that grows in tropical or subtropical regions of the world, its leaves and fruit are known for medicinal and culinary uses. Both the ripe and unripe fruit are used in dishes. The unripe fruit is used to make bitter melon juice and the leaves are both used as herbal medicine. Bitter melon is popular in South American, the Caribbean, Southern Asia, parts of Africa and Indian cuisines. This fruit is sold in Asian supermarkets here in the United States of America. They look like a bumpy cucumber with a bitter taste that I somehow love. Bitter Melon fruit is sold in Indian, Chinese supermarkets here in the USA. The tea bag and juice are sold in Indian, West Indian grocery stores and even on Amazon: Bitter Melon Capsules, Bitter Melon Tea Bags, Bitter Melon Juice. Bitter Melon Seeds. 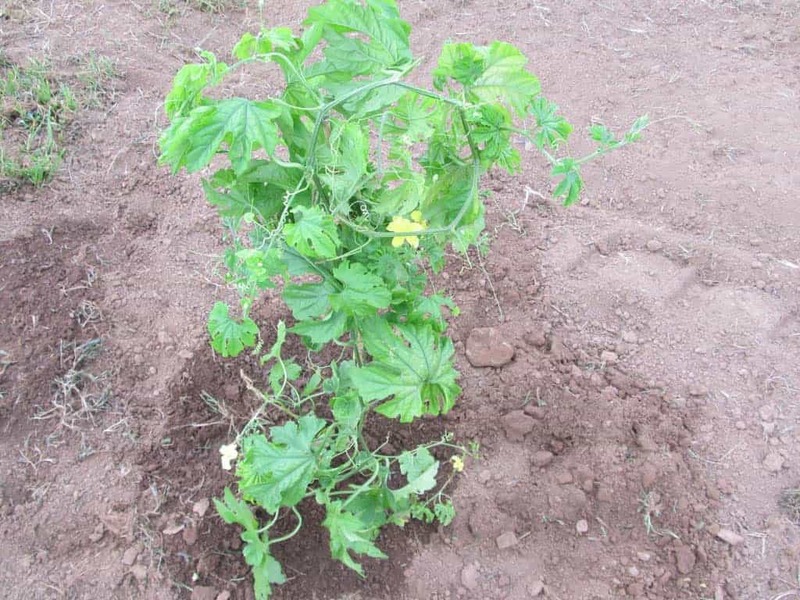 Choose a bitter melon that is not dark green but pale green in color, The more mature the bitter melon, the less green and bitter it will be. Growing up in Jamaica, bitter melon was known as ceras, we had a variety that yielded smaller fruits that were grown wild throughout the island. We grew up drinking the leaves of the plant as a blood cleanser. We made bitter melon tea with the leaves. As children, we ate the ripened bitter melon fruit that was very sweet, unlike the bitter unripened fruit. I first saw the large bitter melon variety when I moved to England and started cooking this unripened fruit in bitter melon recipes years after I moved to the USA and was living in New Jersey. 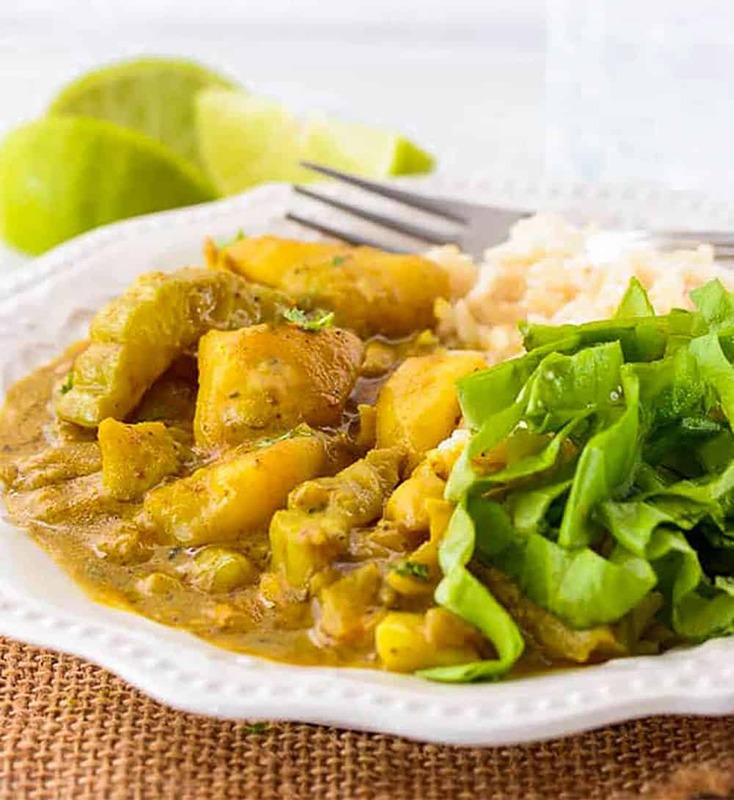 This Bitter Melon Potato Curry is just as flavorful as my Jamaican Spicy Curry, Butternut Squash Curry, and my Cabbage Curry. This unfamiliar vegetable is packed with a powerhouse of nutrition, it contains iron, calcium, phosphorus, vitamins A, C, B1, and B3, and, of course, fiber. It has blood glucose-lowering properties so people use bitter melon for diabetes and is a known mild laxative which may be helpful in a weight loss program. It contains an anti-tumor agent. It has been found to be helpful for psoriasis, inhibit HIV infection and menstrual irregularities. It is used in countries such as Panama and Columbia for preventing and treating malaria. To Cook Bitter Melon Potato Curry, wash bitter melon, cut in half lengthwise and scoop out all the seeds. Chop the melon into 1/4-inch cubes. Add salt and set aside for 5 minutes(this helps remove bitterness). Rinse bitter melon pieces, drain and set aside. Heat oil or water in a large saucepan. Saute onion and garlic until onion is soft, Add spices. Stir in bitter melon pieces, potatoes and stir to coat. Add coconut milk, water, thyme, bring to a boil. Reduce to a simmer and cover saucepan, cook for 20 minutes or until potatoes are tender. Stir in sea salt and remove from heat. 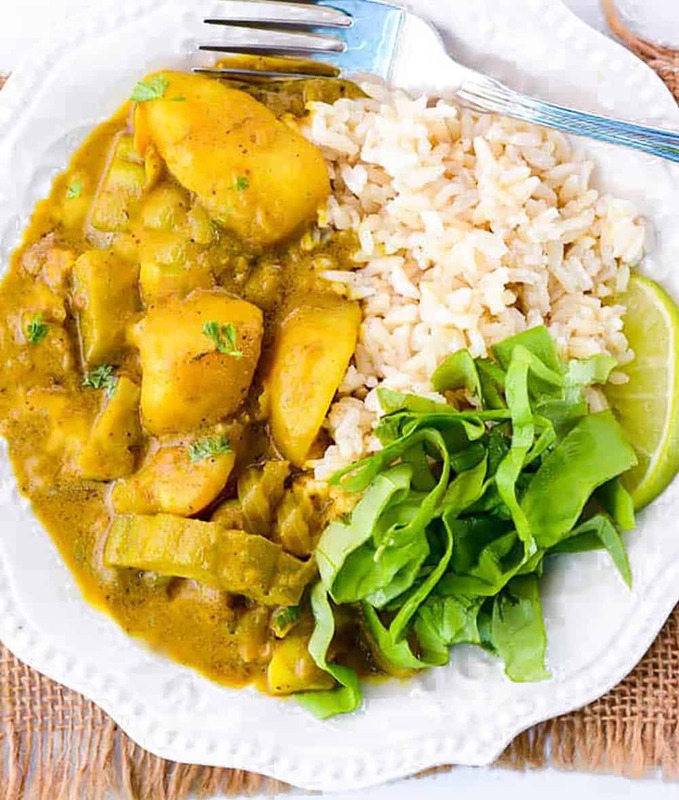 Bitter Melon Potato Curry is delicious served alone, with a Tomato Cucumber Salad, Turmeric Coconut Rice or Quinoa. 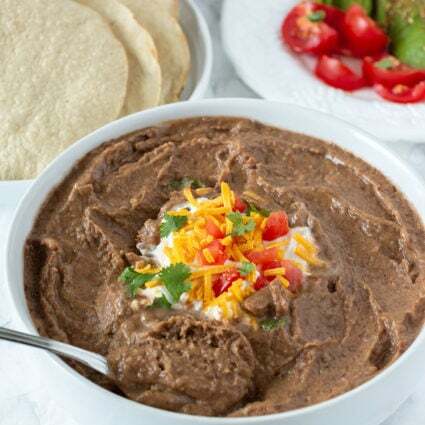 Add the above ingredients in place of store-bought curry powder. 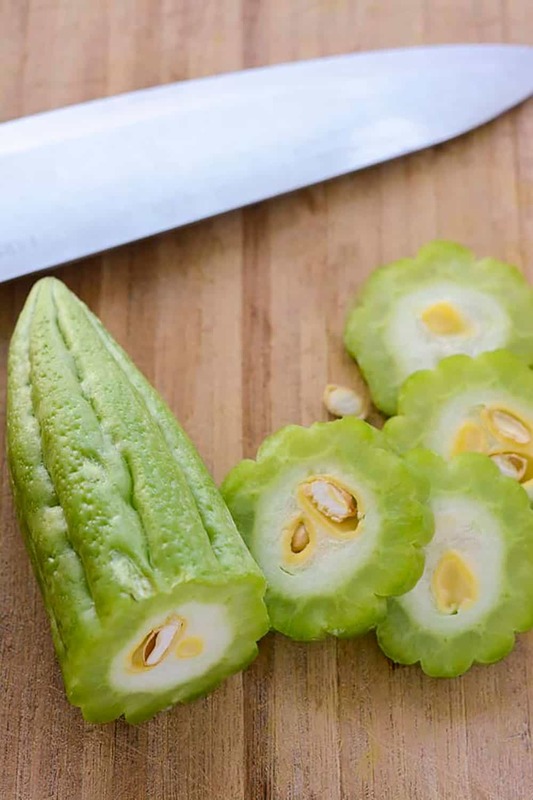 If you make this Bitter Melon recipe, snap a photo and hashtag #healthiersteps — we love to see your recipes on Instagram, Facebook & Twitter! Wash bitter melon, cut in half, discard seeds and soft tissues, then chop into small pieces. Add salt and set aside for 5 minutes(this helps remove bitterness). Rinse bitter melon pieces, drain and set aside. Heat oil in a large saucepan. Saute onion and garlic until onion is soft, about 4 minutes. Add Curry powder or turmeric, coriander, cumin, cardamom. Stir in bitter melon pieces, potatoes and stir to coat. Add coconut milk, water, thyme, bring to a boil. Reduce to a simmer and cover saucepan, cook for 20 minutes or until potatoes are tender. Stir in sea salt and remove from heat. Garnish with cilantro leaves. I just made this. 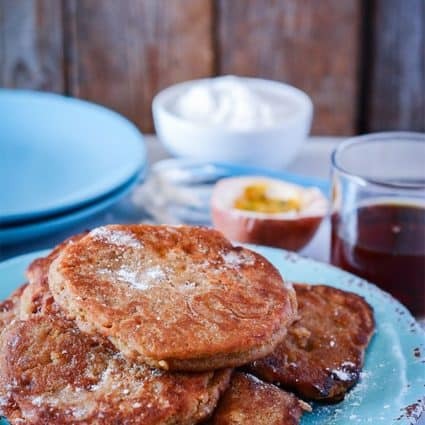 Super simple but super delish! I don’t know why the combo with the potatoes makes it so tasty, I am not even much of a potato eater but the two together in this curry are very complimentary. Yum yum thanks! Cynthia, I’m so happy you enjoyed it. Thank you very much for sharing your feedback. I really appreciate it. This looks delicious! I notice that in the instructions, you mention garlic, cumin, coriander, and cardamom without giving amounts. Could you update the recipe? Thank you, the amount is for making your own curry powder and I list the amount in the blurb. I was researching for recipes with butter melon when I found your delicious recipe. So flavorful thank you. 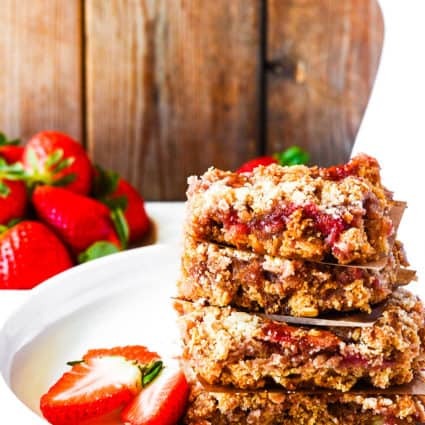 Thank you Monica, I’m happy you found me and enjoy my recipe.